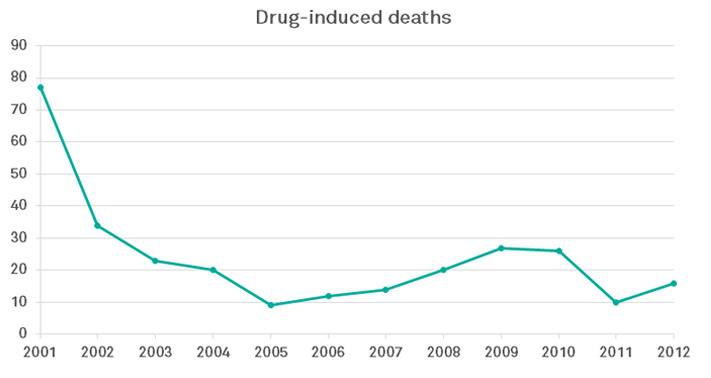 The Progress-Focused Approach: Portugal decriminalized drugs use and what happened? Portugal decriminalized drugs use and what happened? Drugs use can have a disruptive effect on lives of individuals and can also lead to many problems at a societal level. In 1971 president Nixon proclaimed a 'War on Drugs' which continues up to today. This war on drugs meant that the production, trade and use of drugs were seen as criminal behavior and were to be fought aggressively by the state. The emphasis in the war on drugs was on punishment and not on treatment of addiction. Has it been successful? Well, no. The annual costs are astronomic (they are estimated to be around $51 billion), prisons are packed and drugs use and all problems that go along with it have only gotten worse. Okay, but if such a strict approach does not work, what else can you do? In 2001, in Portugal a law took effect which decriminalized drugs use. This means the following. Drugs are still illegal and drug dealers still go to jail. But no one who is carrying a supply for less than ten days of any type of drugs gets convicted. They can, however, be brought before a panel of dissuasion consisting of of legal, social, and psychological experts. Heavy users, who have repeatedly been brought before such panels can be sent to therapy. When this law took effect there were many critics who feared it would only worsen drugs related problems. Did the law work? You could say so. 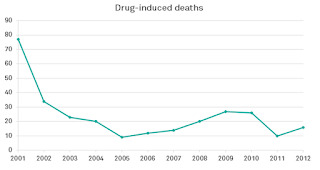 Both drugs use and many drugs related problems have sharply gone down since the law took effect (you can read some figures in this article). How is it possible that this lenient approach works so much better than the strict American approach? One explanation is that drugs users are less afraid to get arrested and tend to seek help sooner. Another explanation is that this law signals that society does not give up on its drugs users and does not reject them but wants to help them. Yet another explanation (one which I am making up here) is based on self-determination theory. A harsh and controlling approach can undermine the process of internalization. This means that this controlling approach can reduce the motivation of people to not want to use drugs (in this article I explain how this works). Reflection: here is another example of how a harsh approach to solve a problem, no matter how intuitively appealing it is, often backfires and how a milder and more helping approach can work surprisingly well.